This adorable condo ***has Peek a boo, GULF VIEWS**** and is Close enough to hear the crashing waves of the Gulf of Mexico! Located in the ***DOG friendly complex*** of Neptune on Longboat Key – One bedroom, one bathroom condo with a modern vibe and it comes turnkey furnished with all you see! 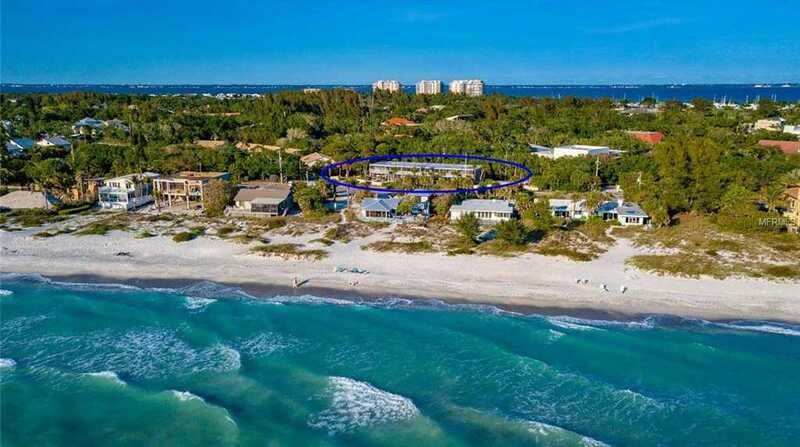 Located in an OLD FLORIDA STYLE COMPLEX across the street is the Public BEACH ACCESS that leads to a very secluded spot to soak in the aqua blue water! Rarely available, this desirable condo has the largest floorplan among the 1 bedroom units, it’s truly the best floor plan! Neutral tile throughout. Some owners have made the Walk-in closet in the Master bedroom into a 2nd bedroom because of how spacious it is. Sliding glass doors from the living room & bedroom lead to the large tiled screened lanai. Gulf views from the unit and it also overlooks the tropically landscaped grounds. Separate laundry facility on site. Publix grocery & shopping only blocks away. Flexible rental policy and pets allowed make this boutique complex the answer to your snow filled life as the rent can offset the expenses! One of the lowest monthly fees on the entire island of Longboat key! BONUS INVESTORS! THIS UNIT IS ALREADY booked next season! Close to the infamous St Armand’s circle for fine dining to just local hangouts. It’s minutes to Mote Marine and downtown SRQ. What are you waiting for snowbirds? The only Blizzard you will get in Florida is in an ice cream shop! Please, send me more information on this property: MLS# A4432059 – $250,000 – 2850 Gulf Of Mexico Dr #6, Longboat Key, FL 34228. I would like to schedule a showing appointment for this property: MLS# A4432059 – $250,000 – 2850 Gulf Of Mexico Dr #6, Longboat Key, FL 34228.